Hello, <?js= firstName ?> <?js= lastName ?>. 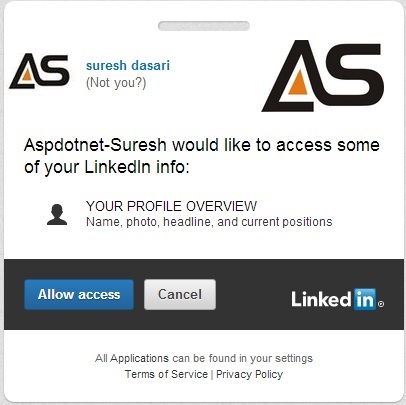 In this way we can implement Linkedin authentication for your web application. 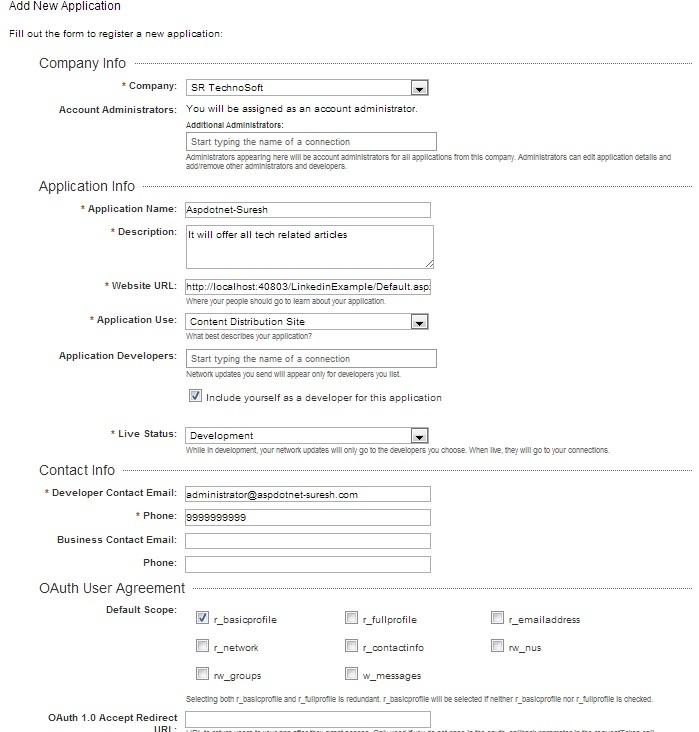 In this way we can implement linkedin authentication mechanism for website. Sir, How to set a default man's image when a radio button's text is male? When female is selected a women's image must appear as a default image in asp.net. Radio button1 text----->Male . Radio button2 text---->Female. Sir, Could you please tell how a user can logout after signin? 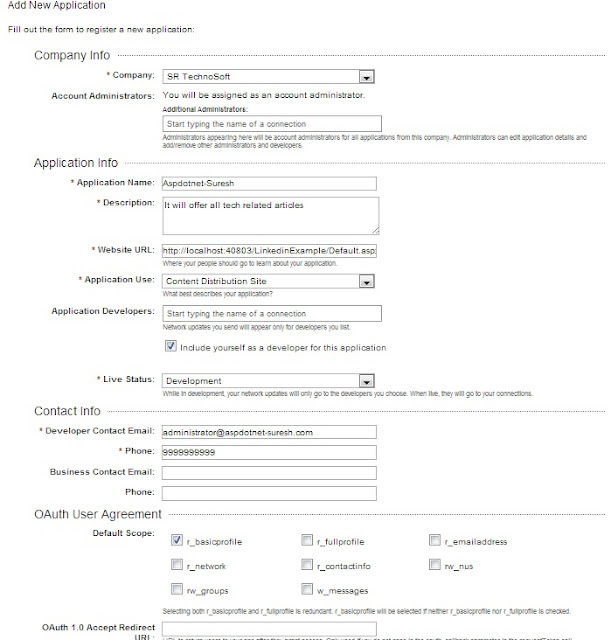 How to get other details such as Companyname, phone, city, email? and how to logout from LinkedIn after logged in? Hi can I put My own button instead of this linkedin button. Onclick of that button popup should come.